Unlike traditional (non-elastic) heavy ropes, the Son Of The Beast is engineered to apply graduated resistance to counter the force of the athlete’s movements, which causes the muscles throughout the entire body to contract. 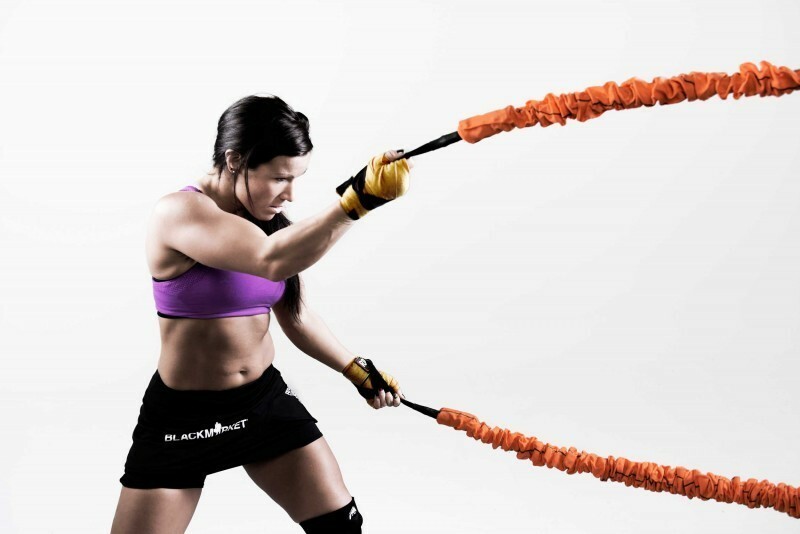 Beyond functioning as a high-powered battle rope, the Beast has multiple applications — from rotational movement training (which targets the core muscles) and lateral movement training (which targets core stability), to reverse walking (for lower-body strength) and building cardiovascular endurance. Because of its large circumference, a fighter’s grip strength is increased every time he trains with the Beast. Weighing up to 15 pounds and providing a full 150 pounds of resistance with each rope, the Beast is encased in a protective nylon sheath, giving athletes of any fitness level a physically taxing and safe workout. Are you ready to take your game to the next level? The Son of the Beast will help get you there! No matter what you need; cardio, power, strength or explosion, the Son of the Beast will provide it. Get your cardio as you do your traditional battle rope exercises. If you want to gain strength, no problem! Perform any of your normal strength training exercises, like presses, rows, curls and triceps extensions. Power and explosiveness comes as well when you put your body to the test, broad jumps with a press will push you to your limits and take you to a level you have always wanted.